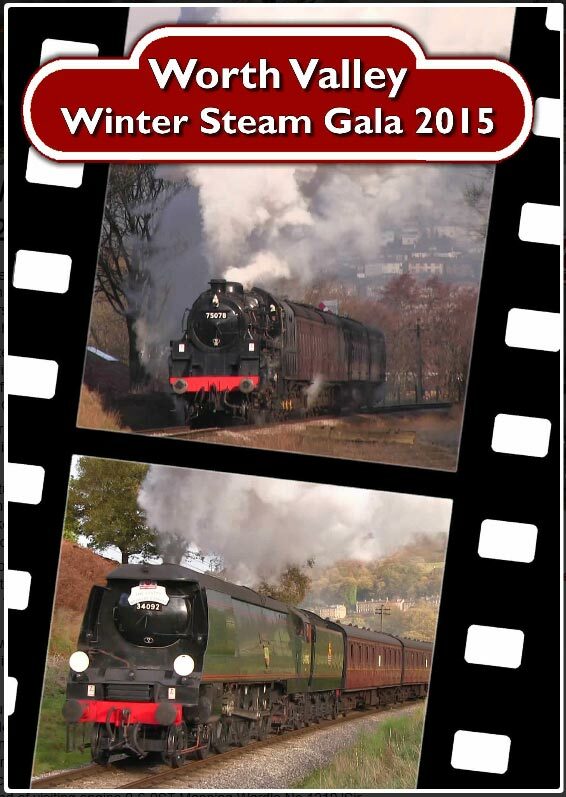 With the Winter Steam Gala promising to be a festival of steam action, with pride of place going to the first Gala appearance since returning to traffic of 75078, SAY have already planned the launch of the video which will be released on 10th March priced and available from Haworth Shop shortly afterwards, priced at £12.95. Here is a taster of what may be in store. BR Standard 4MT 4-6-0 75078’s first official day back in traffic. The Keighley & Worth Valley Railway, the only complete branch line in the UK is well re-known for holding their annual Winter Steam Gala. The event is an important event on many enthusiasts calendars for holding a varied range of trains running along the picturesque five mile branch line. The annual 2015 Winter Steam Gala is set to feature the launch of resident BR 4MT No.75078 returning to service, making its first gala appearance since 1998. Running over the cold, damp mornings of March 2015 a collection of engines are set to tackle the steep gradients from Keighley to Oxenhope. Appearing at its first Winter Steam Gala since returning from overhaul last summer, SR West Country No.34092 ‘City Of Wells’ will once again climb the Worth Valley throughout the weekend. Also making a welcome return to the Worth Valley is 0-6-0ST Manning Wardle No.1210 ‘Sir Berkeley’ owned by the Vintage Carriage Trust but normally based at the Middleton Railway in Leeds. 0-6-0ST ‘Sir Berkeley’ last appeared at the Worth Valley in 2008 as part of the 40th Anniversary Celebrations. Footage will be included from throughout the event and will feature all the engines that run at the event. Trackside footage will be included, an aspect not available to the general public. A wide collection of freight, vintage, express and passenger services also feature throughout the DVD. Also featured on the DVD will be a short photo charter with BR 4MT No.75078 and SR West Country No.34092 ‘City Of Wells’ re-creating ‘The Pines Express’. We have taken the opportunity to include some extra footage of BR 4MT No.75078 hauling some running in services at the railway. Footage will also be featured of visiting engine 0-6-0ST Manning Wardle No.1210 ‘Sir Berkeley’ at the Middleton Railway in Leeds.